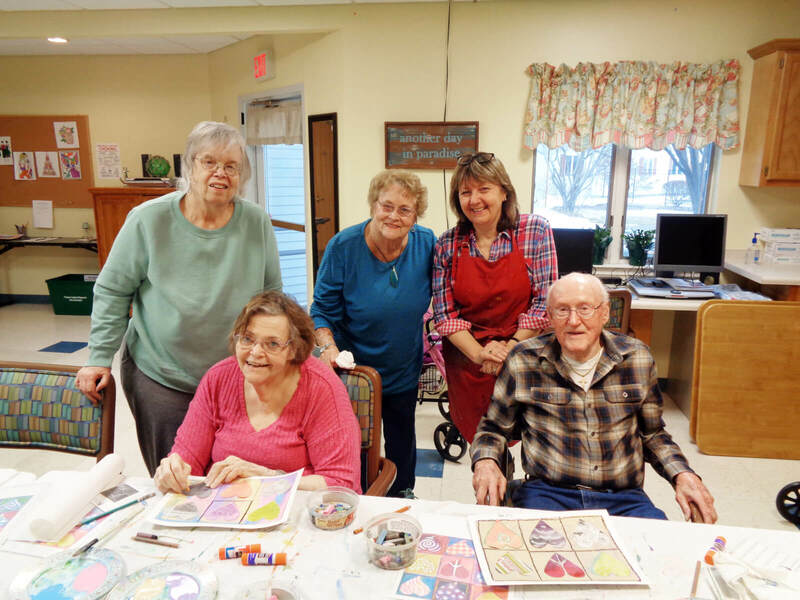 DePaul seniors in New York are channeling their inner Picasso with the help of Caroline Garnaat, an artist for 40 years and teacher with the nonprofit organization Fine Art Miracles, Inc. Caroline visits Horizons in Canandaigua, Woodcrest Commons in Henrietta and Westwood Commons in North Chili once a month to guide seniors in creating works of art! Woodcrest Commons Activities Coordinator Lindsay Lown said Caroline walks residents through each project step-by-step. 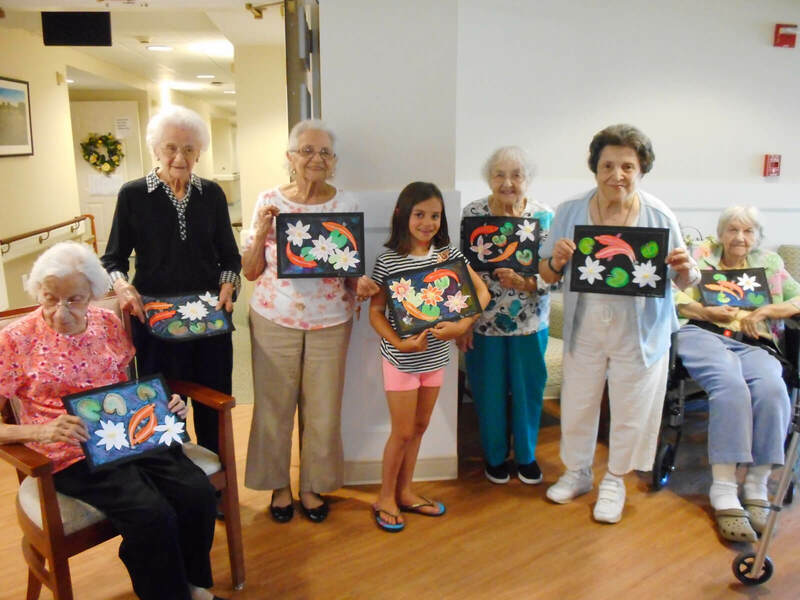 Caroline said completing an art project gives residents a sense of accomplishment. “The knack is trying to determine where people are in terms of their abilities and to find a project that will challenge the more experienced people and give confidence to the less experienced,” she said. The mission of Fine Arts Miracles, Inc. (FAM) is to bring the cognitive and social benefits of art to the elderly living in nursing homes and assisted living facilities through fine art lessons, art therapy, music therapy and social robot-enhanced learning for all ages and capabilities. 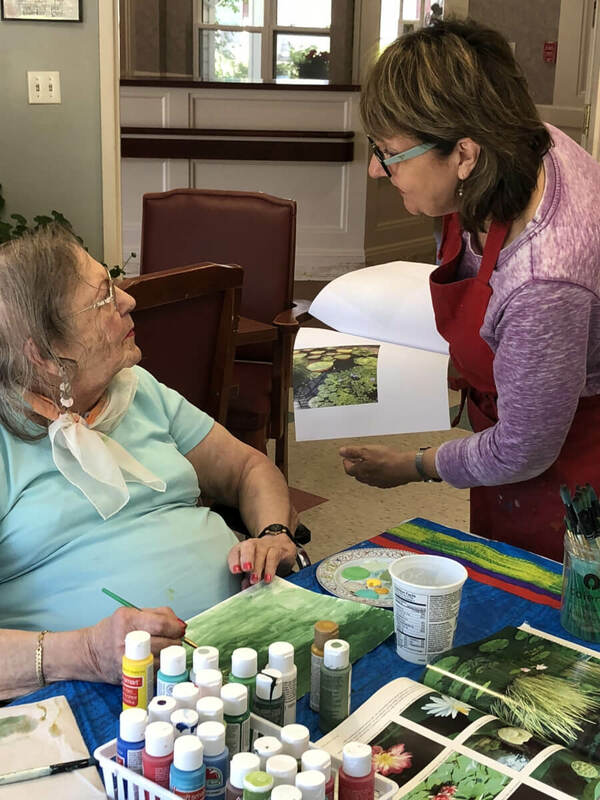 According to Fine Arts Miracles CEO Tess Lojacono, studies show that people may express their feelings through colors, images and artistic impressions. Participation in art class stimulates the temporal lobe of the brain and can induce the use of motor skills.